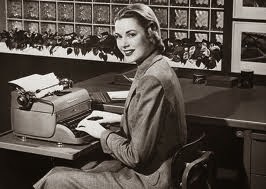 T is for Typing and that is the basis of my job as a Virtual Assistant. My aim was to open up a business providing typing services and I have been able to do that. I have always loved to type and I am quite happy to sit for hours on end, days on end typing. I don’t care what I type, from contracts to reports to flow diagrams or business presentations, I am doing the job I love so whatever the typing is I don’t mind doing it. Everyone wants to do typing from home, but it is not that easy to get into the field and to get ongoing typing. I have made sure that my business name is out there far and wide, I have done the marketing and advertising required and I still do it and network often to show that my business is still running and current. They key is finding the right clients that provide ongoing typing is to know your niche and target markets, know the types of clients you want to work for, actively look for clients that you can assist, never give up, always be positive. Positivity brings rewards. There is loads of potential clients in the work place, loads of types of clients that can provide you with typing it is just the case of you looking and finding the clients that are the right fit for what you want to do. Not everyone is computer literate or likes to use computers, some people still like to do things the old fashioned way and write on notepads, not everyone has to like and use Computers, Tablets or Laptops. Not everyone has time and sometimes it quicker to just write up notes here and there as they can and these notes need to be typed up at some point. When looking for typing work look towards the people who would produce typing, maybe people who write often, maybe people in the training field who produce manuals, reports etc. Look towards Speakers as they need to write notes and produce PowerPoint Presentations. New businesses need documentation they need procedure manuals to run their businesses. 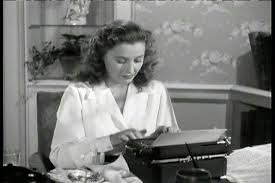 There are many clients out and about that need typists it’s just a case of looking and approaching them.